What would Halloween be without a dog dressed in a witch costume? 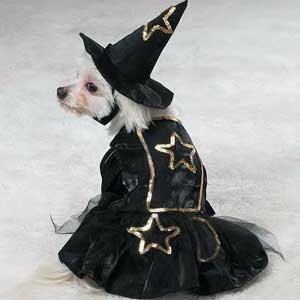 The witch dog costume is perfect for Halloween, parties, and photographs. Velcro closures for easy and secure fit.